, I () Septimus do solemnly and sincerely, declare and affirm undying loyalty to my witness and The House of Septimus. That I will to the best of my knowledge and ability, cause the peace of this house be kept. Preserving all life and protecting all property charged here under the house of Septimus. Akatosh defend me through this honourable duty. As the words of Septimus declare, ‘Lead by example, by example we lead’ for I take this oath to my grave. 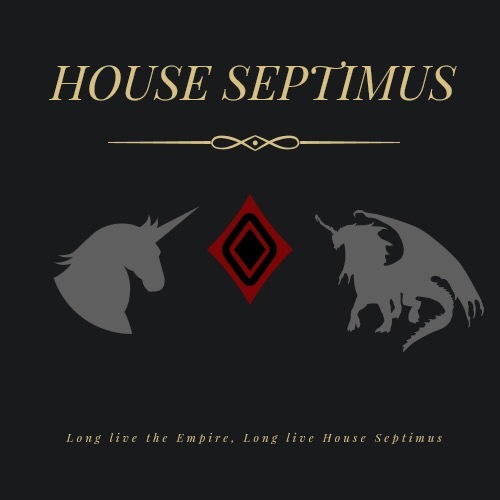 Long live The Empire, Long live House Septimus. Born in 2E 542 in the Imperial City, Cyrodiil. Meridius Septimus joined the Imperial Empire and served in the Legion at an early age. Training in a variety of combat skills and excelling in 1H swordsmanship he quickly found himself becoming recognised as more than competent and having a natural talent. His skill had him taken in to an instructor role where he received regular promotions for his effort and commitment to developing and creating skilled warriors for His Legion. Finding himself serving as an Imperial Legate during the time the Anchors fell across Tamriel. Meridius was already experienced in combat and was drawn in to conflicts fighting against Molag Bal’s forces or other alliances in the three banners war during the fall of Cyrodiil. Cyordiil in ruins and the empire officially recognised as disbanded or defeated. Meridius and the remainders of his Legion form a new Legion, the 21st Legion where they seek refuge in the Gold Coast. Finding a grand Manor sitting on the border. Meridius Septimus uses the Legion’s coffers to purchase the estate where he sets up a Barracks. Some Months pass and the 21st Legion has been scouting the area north of the Goldcoast border. A settlement, unclaimed and independent from any rule. The local population of mixed descent where a civilised and well integrated community however offered little in terms of military security and had no option but to conform and accept the governance Meridius asserted over the lands. Now occupying lands, resources and a small but busy Town. Meridius set out to expand his legion, taking on any able body willing to swear oath to the Empire all while actively seeking out small skirmish and conflicts with local mercenaries, bandits and other rogue parties. Developing a strong fighting force and asserting dominance within the surrounding areas. Vildana Septimus - Younger Sister. During the fall of the Anchor’s, Meridius lost both of his parents to the Deadra however he was able to aid his younger sister and her daughter in escaping Cyrodiil where they were separated.